Kasturi Kannada Cultural Association is a non-profit, social, linguistic and cultural organization; incorporated under Non Profit Corporation act of the State of Ohio, to integrate, coordinate, network and unite the activities of all Kannadigas and for promotion and preservation of Kannada language and culture in North East Ohio. It is a voluntaryorganization primarily run by donations and memberships from interested members of the general public.We sincerely request and urge you to show your support by becoming members and contributewhole heartedly. See membership page for details. The idea of starting an organization comprising of Kannada speaking people in Cleveland was suggested by Shri Vasudev Kamath. Shri Nag Manohar and Shri Dattatreya joined in the leadership. A group of 25 kannadigas gathered at a metro park in 1984 and celebrated the birth of our new organization. 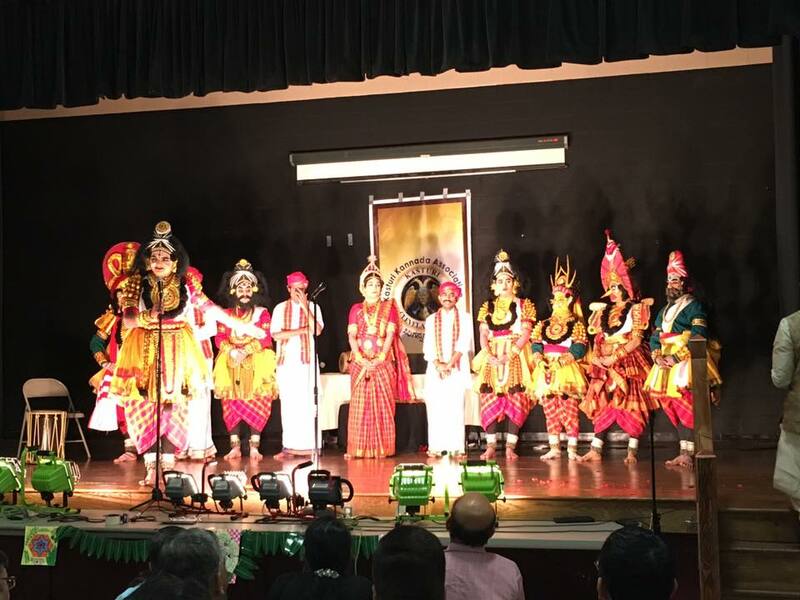 The beloved name of 'Kasturi' was suggested by Shrimathi Sumithra Dattatreya which has been liked and accepted by all the kannadigas in Cleveland. The first committee decided to celebrate the three major festivals of Karnataka namely Ugadi,to welcome the New Year, Ganesha Pooje,to pray the Lord of learning and Deepavali the festival of lights. The picnic was also introduced to enjoy the rare sunshine in Cleveland with games, food and fun. The festivals are celebrated with several cultural events in which adults and children exhibit their talents. Traditional and exotic dinner is served at all the events which are thoroughly enjoyed by one and all.